The BSIA’s popular free-to-attend ‘Manchester Security’ event is set to return this Spring, with the event’s theme exploring new and innovative methods of providing business security and community safety. Themed as ‘Manchester 2013: Securing the Future’, the event aims to educate and inform local businesses in the North West, bringing them together with local Police forces to facilitate discussion of the security challenges faced by the region, and the solutions on hand to combat such issues as crime and anti-social behaviour. Free to attend for delegates, the event will take place on Wednesday 20th March 2013 at the Bridgewater Hall in Manchester city centre, and welcomes back popular speakers from last year, as well as some new faces, including Deputy Chief Constable, Ian Hopkins, who will formally open the event. Returning to the event in 2013 is Chief Superintendent Stuart Ellison of Greater Manchester Police, whose presentation on Manchester’s night-time economy proved popular in 2012. This year, he will be speaking on the subject of integrated partnership working, and what this means for policing Manchester’s busy city centre. Also speaking at this year’s event will be Chief Superintendent John O’Hare, whose presentation will focus on policing a major event, with a specific emphasis on the recent TUC march. The full speaker line-up is due to be confirmed over the following weeks, with invitees to include Manchester’s local Police and Crime Commissioner, Tony Lloyd. 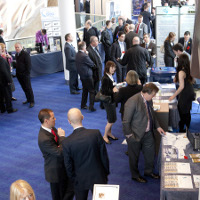 In addition to the informative conference programme, the event will include a comprehensive exhibition, enabling security companies to showcase their products and services to delegates from a range of end-user businesses. Last year, over 250 delegates attended from both private and public sector organisations, including Morrisons, Selfridges and Manchester City Council. Exhibition space is selling fast, however, the remaining spaces can still be booked at a cost of £575 + VAT. You can view videos of presentations from last year’s event at the BSIA’s YouTube channel.